“His eyes, filled with flaming fury, held her captive. She finally managed to drop her gaze and pressed the napkin against his wound. Other than a hiss, he didn’t respond. During the altercation everyone moved closer to the gramophone. Bea took shallow breaths. She had no idea how much time had passed and when they could expect the Yard. Having lived in London for a long time I thoroughly enjoy mixing my experiences and knowledge with research and building a world where dirigibles, automatons and MENVs are part of daily lives. There are a great many definitions of what steampunk is, but for me is is the opportunity to mix the historical with the fantastical and even throw in a little Sci-Fi. History has always been a subject close to my heart and at one time, when I was very, very young, I thought about becoming an archaeologist. Didn’t quite work out that way, but I wouldn’t mind meeting my own personal Doctor and travel through time and space in our very own TARDIS. I would love to see Ancient Egypt, watch Michelangelo sculpt David, meet Elizabeth I, hang out with Auguste Rodin or travel to Japan and meet Musashi Miyamoto. What time would you like to visit and who would you like to hang out with? 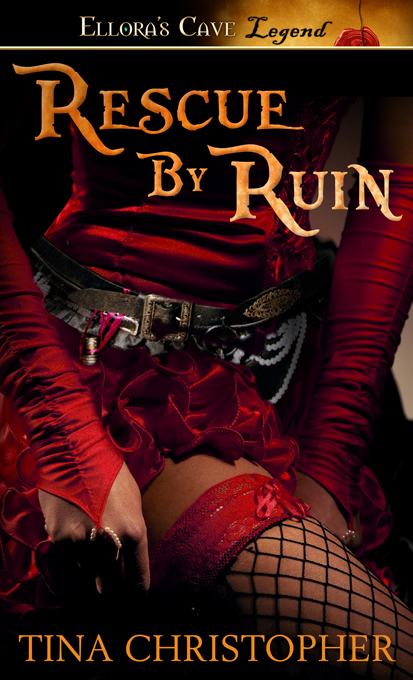 Leave a comment and you will be entered to win a copy of Rescue by Ruin. If you also Tweet a link to this post and include my Twitter handle @TinaChristopher I’ll enter your name for second time. The contest runs until Wednesday 7th November. Posted on November 2, 2012, in Contest, Rescue by Ruin, Writing and tagged doctor. tardis, favourite historical person, history, Release Day, steampunk, time travel. Bookmark the permalink. 4 Comments. Ohh, yes, DaVinci would be amazing as well. Retweeting is absolutely fine;). Thanks! man — that looks like a fantastic story!